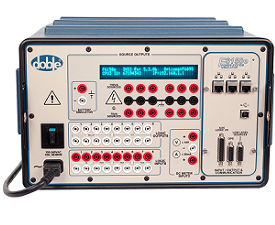 The Doble F6150e tests protection relays and schemes, performing the simplest through the most complex tests. It is available in four of different models which provide the capability of testing of an individual component or an entire scheme. High impact, molded, flame retardant ABS meets National Safe Transit Association testing specification No. 1A for immunity to severe shock and vibration.